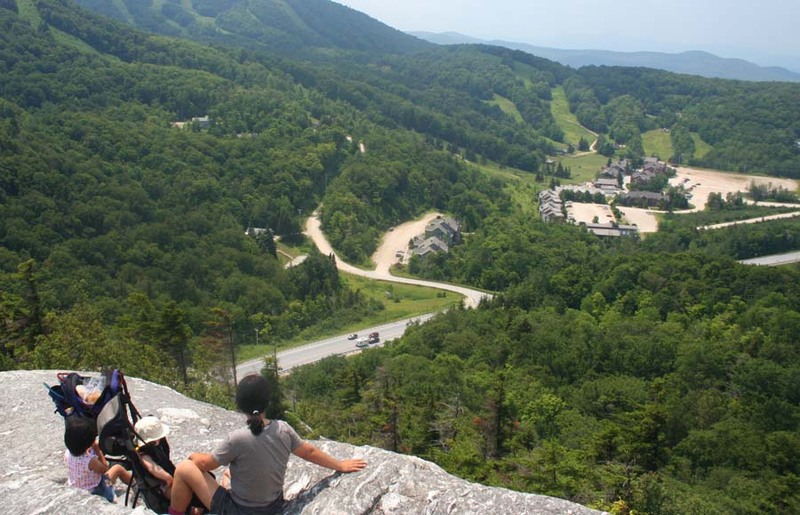 Appalachian Trail is one of the famous trails in the United States. It goes from Maine down to Georgia for 2,175 miles. Each year, thousand of hikers attempted to hike the whole length and about 1 out of 6 would succeed after months of toiling on the trail. 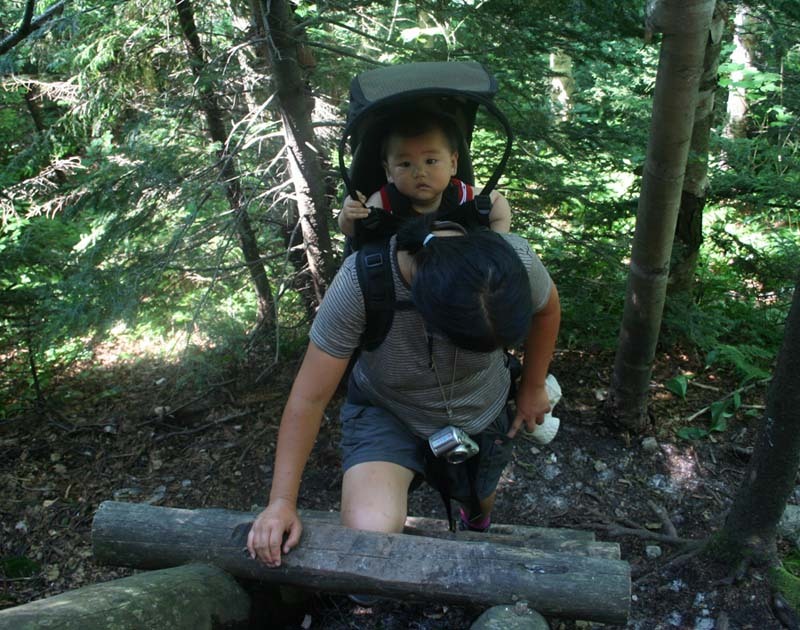 When we were in Vermont’s Green Mountains, we had a chance to hike a section of it and we would not miss the opportunity. The AT Trail passed through the Green Mountains where the trail crossed a busy road, Route 4, near the hotel we were staying for the week. We packed up some lunch and parked at a trailhead off the Route 4 for the hike. 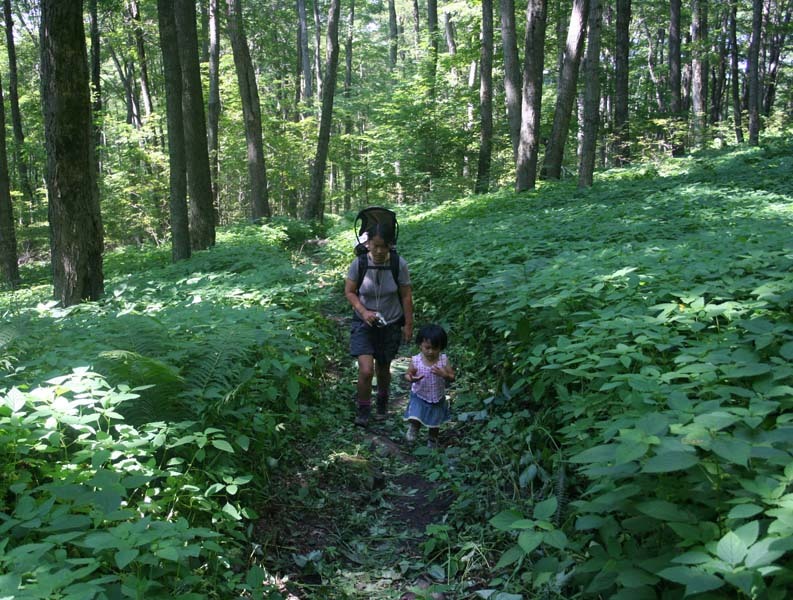 Unlike Pacific Crest Trail and Continental Divide Trail, Appalachian Trail goes through many densely populated areas so it has to cross many roads. The trail started out flat and went through a dense shaded vegetation area with many bugs. There weren’t much to see so we quickly walked through that area to escape bugs. 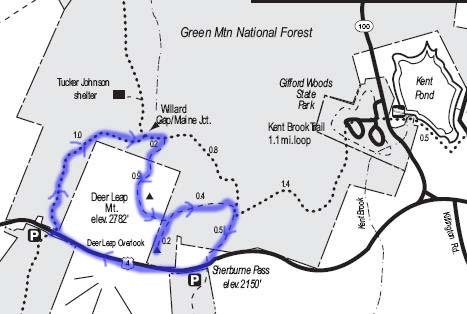 After about 1.2 miles, the trail branched off and became steep as we started climbing toward our destination, Deer Leap Overlook. We had to climb a little section of a ladder (nothing like what we did at Badlands National Park) and finally arrived at the Deer Leap Overlook, a big chunk of rocks. We had a great view of all the surrounding areas. We had our lunch there. Instead of going back the same route, we made a loop back to our trailhead even though it meant that we had to hike along Route 4 for a little bit. We got back to the van and put Kadia and Bryden back in their car seats to get ready to go back to our hotel. I went to the glove compartment to get my wallet that I had decided to leave in the car the last minute before the hike as we didn’t need it. But it was missing! I knew right away something was wrong but there wasn’t anything else looked out of place or any evidences of the van had been broken into. Susan thought I might have misplaced the wallet but I was pretty sure. Susan had her wallet in a bag in the van as well and when she looked for it, it was gone as well. Then I knew, someone somehow got into the van and took our wallets away. I held on to the faint hope that whoever took our wallets might have discarded the wallets outside somewhere after taking the wallets out of the van to take the important things: cash and credit cards. I searched and searched in vain but there was no luck. They were gone for good. We took a quick stock of our things and it appeared that nothing else was obviously missing, not my cell phone and telephoto lenses that were laid near the glove compartment nor were our passports and our van’s spare key that were stored underneath my wallet in the glove compartment. It could have been much worse. Soon I noticed something was weird with the rear side window on the driver side. When I shut any door, the window would open slightly then close again. Actually I didn’t even know that it was a window that can pop up slightly to vent, I thought it was a completely closed window. I checked it and found out it had been pried opened, the locking latch was broken and someone had forced it open wide enough to get inside of the van through it. What a bad design to have such a weak latch. Here we were 3000 miles away from home and both of our wallets were gone with all our money, credit cards, and IDs. What a costly hike! What were we going to do? Don’t leave your wallet in the car! Definately, don’t leave two wallets in the car leaving you with NO resources at all! This story ended with “What were we going to do?” As a Vermont native, I know just what they did. They went into the Inn at Long Trail just next to where they were parked and the Inn they refered to in their letter. At the Inn, I am CERTAIN they received excellent hospitality to help them contact their credit card compaies etc… Deer Leap is a great little hike with a terrific view at the top of it. The best part of it is McGrath’s Irish Pub at the Inn at Long Trail as soon as you are done. It is great!